This year during our Great Yearly ceremony, The C.L.A.W. 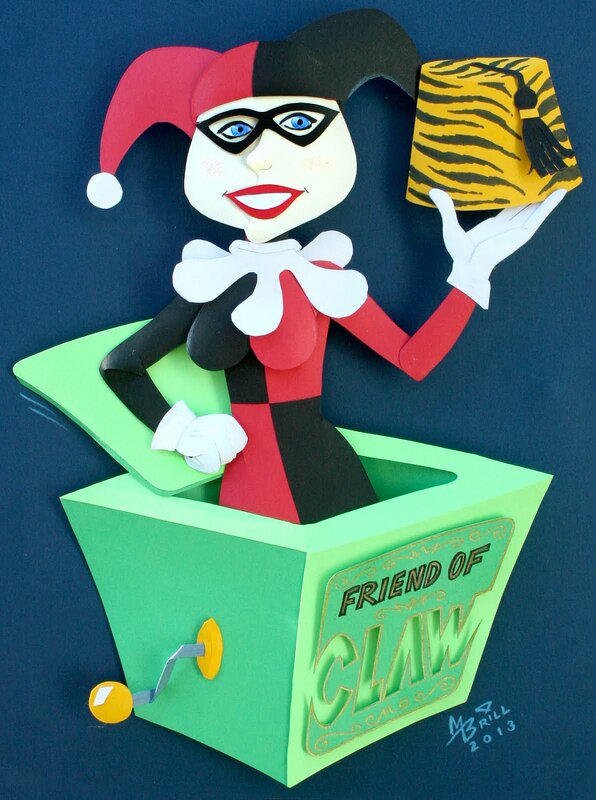 will be awarding the lovely Carmen Melendez her very own "Friend of CLAW" fez in recognition of everything she did during 2012 to help us with venues and and events that featured CLAW involvement! I was asked to create her invitation to the ceremony and decided to make her a fun little paper sculpture of her favorite character, DC's Harley Quinn, the Joker's main squeeze! 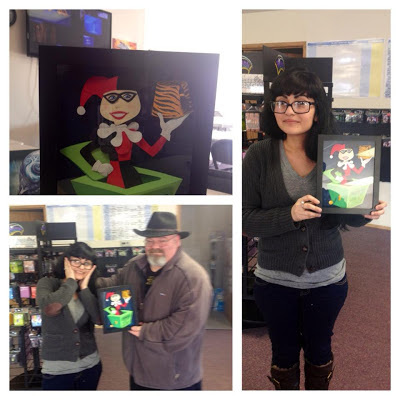 Here are a few pics of me making the presentation and of the final piece itself. Congratulations, Carmen--but most of all, thanks from all of us in the Cartoonist's League of Absurd Washingtonians!